"Cruella De Vil" is a song featured in the 1961 Disney-produced animated film One Hundred and One Dalmatians and its live-action remake. In the original animated film, it is written by Roger Radcliffe who had just finished the melody for the song and was inspired by Cruella's name to make the song about her. It was first performed by Bill Lee as the singing voice of Roger Radcliffe, a character from the movie. It has been re-recorded by Dr. John, Lalaine, Skye Sweetnam, Hayden Panettiere, and Selena Gomez for various releases in the DisneyMania album series. Additionally, The Mad Hatter sang the song in a game of Musical Chairs at Disneyland but instead changed a number of the "Cruella De Vil's" to "Alice De Vil" to criticize his friend. " The song was re-imagined for 102 Dalmatians, as a song about Cruella's supposed "change of heart." song, she exclaims how much she loves it and persuades Isaac Heller to dance to it with her. Pick your part and sing along with a professionally recorded choir! This collection features 8 Disney movies favorites in 4-part arrangements, and the accompanying CD contains full-performance recordings. 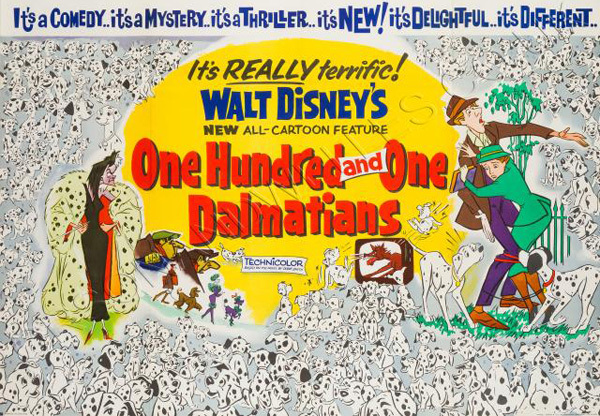 This bluesy feature from Disney's animated hit movie 101 Dalmatians is just doggone fun to sing! Available: SATB, SAB, 2-Part, Instrumental Pak, ShowTrax CD. Performance Time: Approx. 2:50.